When it’s announced that a biopic is being made on one of the most influential people in the technological generation, thoughts start to flutter, and the only question going around was – who’s playing Steve Jobs? Affleck? Clooney? The last name you’d expect to see is Ashton Kutcher, so that was a bit of a 360-behind-the back-no-look-surprise-pass out of nowhere, but then again, no one knew who Jesse Eisenberg was before The Social Network, and he did a great job playing Mark Zuckerberg; the possibilities were limitless. Speaking of limitless – that was what Steve Jobs preached on a lot. He saw so many things that the human being could be and how technology could work symbiotically with it that he drove himself in obsession with perfecting the products to make the usage of technology the only way it was meant to be – simple. This movie wasn’t a “horray Steve Jobs, he’s so awesome” type of movie, because not everyone who knew and worked with/for him thought he was all that awesome in the earlier years. This movie brought out the ugly that a lot of people wouldn’t have known about him. Being a college student in the 70s, you know for a fact that a lot of drugs were involved, and Steve Jobs had an intelligent and visionary mind. He looked at the world in a broader perspective than most, which is why he started Apple in the first place; to put it bluntly, he was a hippy with an idea, and all ideas stem from a source of inspiration – simplicity was his. The ugly side of Steve Jobs was one that a lot of obsessively creative people had; treating people closest to him like nothing, cutting ties and leaving others out to dry, making people expendable – all for the greater good of the company. A friend of mine, Rebecca, made a good point when she said that there does come a point where your friends who started with you aren’t going to exactly stay your friends as your company gets bigger, because you have to treat it like a business and they are the employees. However, lines were crossed, buttons were pushed, and Apple may not have been around today because of all the drama that circulated within the corporation. Not every company is sunshine and rainbows with glittery sprinkles on your favourite flavour of ice cream (great, now I want some), but yet there’s a lot of arguments, blood, sweat and tears when the leader of a group just wants others to follow his lead and stay true to the vision. Jobs was a man who kept pushing the envelope of creativity to the brink and no one would take him seriously because he didn’t operate under what traditional corporations guidelines were – he was a bit of a tyrant rebel, but you need those to light fires under people’s asses to get things done (sometimes). I honestly didn’t think that Ashton would pull off this role, but aside from facial features (it’s crazy how much he looks like him), you have to give it to Kelso Kutcher, he did a good job in acting as him. J.K Simmons, along with a cast of others also did well in telling the story from (to put it metaphorically) either side of the business table. 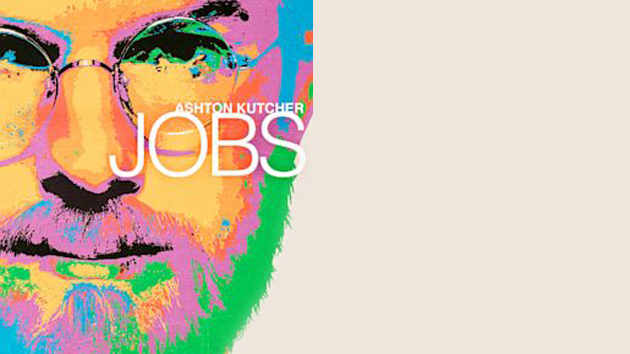 The cast does what they can, especially Kutcher, but the rest of the movie just scratches the surface of who Jobs was a person, and less of what he was perceived as. Good review.